Irish eyes are smiling for a weekend of fun in Wilmington, Delaware & the Brandywine Valley! Here are our picks for your weekend itinerary – and don’t forget to share your travel pictures using #VisitWilm on Instagram & Twitter! 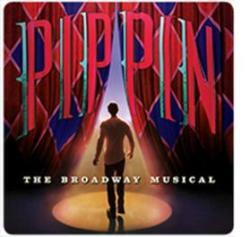 Pippin is a high-flying, death-defying hit Broadway musical! Full of extraordinary acrobatics, wondrous magical feats and soaring songs from the composer of Wicked, Pippin will lift you up and leave you smiling. Come to the Playhouse on Rodney Square to experience a musical unlike anything you&apos;ve ever seen and join a young man&apos;s journey to be extraordinary! 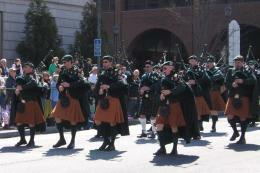 The 42nd Annual Wilmington St. Patrick&apos;s Day Parade & Post-Parade Hooley will be held on Sat. March 11th, 2017. The Parade starts at 12 Noon, at 4th & King St. It will proceed up King St. The Grandstand will be located at Rodney Sq. The Parade will continue on King St. and will end near 14th St. where with Post-Parade Hooley will be in a parking lot with a large tent. Commemorative Parade Mugs will be for sale, cost: $20 ea. with unlimited refills. Celebrate the first flowers of the year and be part of a longstanding Winterthur tradition! Every year Henry Francis du Pont took an early spring walk from the March Bank to Magnolia Bend in search of the year&apos;s first blooms. This year&apos;s featured speaker, Charles Cresson, a well-known horticulturist and plantsman from Swarthmore, will explore the wonder of the winter garden, drawing upon his rich gardening experience and long association with Winterthur. The Brandywine Zoo will reopen to visitors on March 11th! 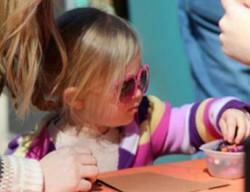 Check in with your favorite animals and join them for a fun weekend of activities and learning stations, centered around the animals living at the zoo. Help the zoo welcome Spring and leave behind the cold days of Winter!